A New Jersey township is charging a family $2,000 per night to allow their Christmas lights display to continue, potentially violating their First Amendment rights. Thomas and Kris Apruzzi said Old Bridge Township demanded that they pay $2,000 per night that the display is on for police security services, and $1,000 to fund a bus to shuttle students home from a local school. The Apruzzi family’s 70,000-light Christmas display has gone on for over 10 years and, while free to observe, has helped raise money for various charities. Thomas said the township’s demands are a violation of his right to freedom of speech and religious expression. “We thought we were going to work on arrangements. But instead they said I have to pay the police department $2,000 a night to have police officers at my house to maintain order,” Thomas said of his summoning to the local police station, according to Bridgewater Courier News. “We said no. It’s my First Amendment right — my freedom of speech and my freedom of religion,” he added. Thomas said that both the police chief and Mayor Owen Henry told him that his display would be shut down if he did not pay the fees. Henry, however, argued that was not the case. Thomas expressed bemusement at what he claimed was a stark change in Henry’s attitude. 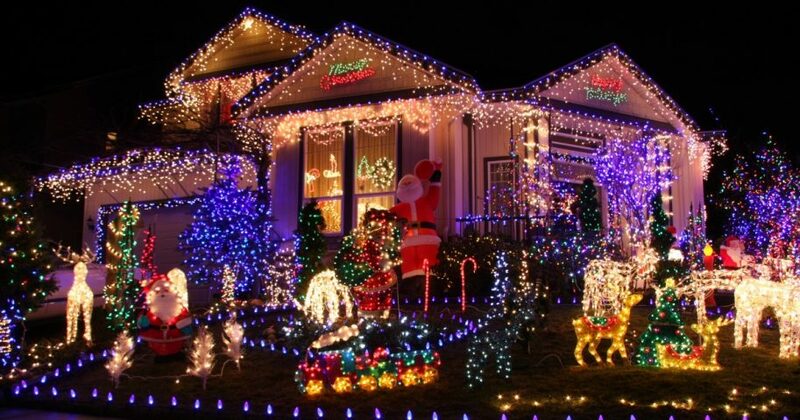 Do you think this family should have to pay to keep their Christmas lights on? A family friend set up a GoFundMe page to raise money to cover the fees and allow the Apruzzi’s traditional light show continue. The page’s author explained that the Apruzzis and about 100 fellow residents met with the city council on Nov. 19 and received approval for the light show “without any stipulations,” but that the police chief and mayor made their fee demands on Nov. 26. Henry said that the local police will implement safety measures weather or not the Apruzzis reimburse the cost. He explained that the money for such measures is not in the town’s budget.